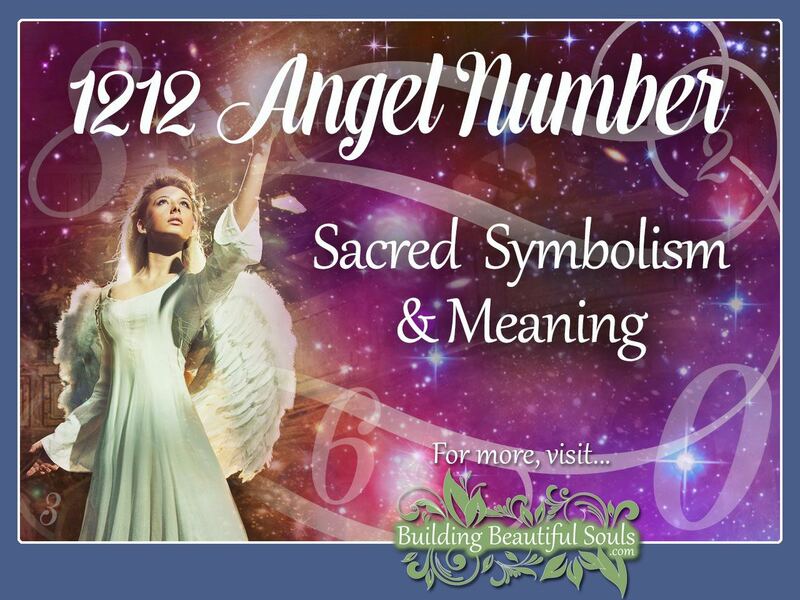 When considering the meaning and symbolism behind Angel Number 1212, you can look at it in two ways. The first is as a combination of two 12s. Second is a coalescence of vibrations from number one (twice over) and number two (twice over). We know from studying Angelic messages that any repetition in numbers represents emphasizing that message geometrically: Let’s find out the important messages Angels are conveying to you with the appearance of 1212 now! On the simplest level, 1 represents self and resonates with energy for a fresh start, inventiveness, and self-confidence. One relates to the innate human capacity for reaching goals, particularly that of becoming a co-creator of our destiny. Angel number 2 embodies peace, harmony, positivity, and objectivity. Combine the two, and the foundational message becomes one of staying focused and trusting yourself. Life is, indeed, moving in the right direction for fulfilling your life’s purpose. So, if you had any doubts, you can release them now knowing your Angelic guides approve! 1212 is a challenging Angel Number. It pushes you out of your comfort zone. Humans are very ritualistic and patterned by nature. Not all of those rituals and patterns are healthy for us. The Angels recommend breaking free of any negative habits and begin looking in a new direction, particularly toward a goal that you’ve yearned to pursue. Pour your passion into that project and watch it grow. In working with the energies associated with 1212, it is very important to remain upbeat and put your natural aptitudes into play. You have a variety of skills and talents that will benefit your passion project as well as those people around you. Light Workers recommend using affirmations and positive visualization as a means of continually attracting affirmative vibrations into your life and aura. Combine this with the ample presence of Angelic help – it’s no wonder everything goes smoothly. 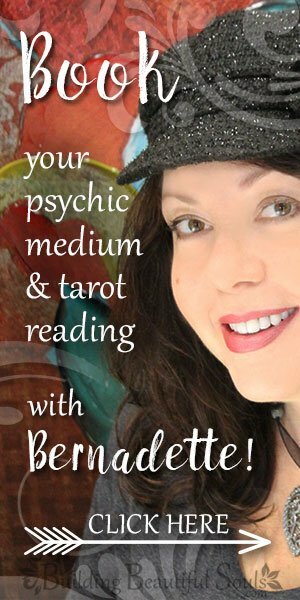 All sorts of possibilities and potentials present themselves with Angel Number 1212. You will see them unfold, sometimes in a wholly surprising manner. Don’t worry that the whole system seems superficially unconventional. Energetic progress isn’t always neat and tidy. No matter what, a very good thing is on the horizon. The “Ts” are now crossed and the I’s dotted. If there was ever a time in your life to feel optimistic about tomorrow and beyond, it’s now. The Angels support your hopes. You may have very vivid dreams about the next steps along your path to success and embracing your soul’s purpose in this lifetime. Mind you; this change isn’t always fast. There are a lot of puzzle pieces in this equation. Gathering them and assembling may take a little time. If you sense a slower pace, honor it. Rushing rarely achieves the results you want. Angel Number 1212 brings healing on its wings. The transformation you experience during this time occurs on mental, physical, and spiritual planes. This particular energy is very holistic in that sense, with personal harmony being a key goal. People who experience the 1212 sequence sometimes report a feeling of being out of time. There is a saying that magic occurs out of time and out of space. Right now, that magic has to do with the contract you made long before birth and bringing those promises into fruition. Beyond the healing element, 1212 represents a call to service. Exactly how that translates into your daily reality depends heavily on your knowledge base and personal skill set. The Universe is very clever. It knows where your attributes fit best in the greater scheme of things. This “fit” is also one aimed at making you happy and truly at peace with yourself. For example, if you have a way with words, you may find yourself offering a free newsletter focused on the ecology, peace-making efforts and other types of service showing how others can become involved. You are becoming a facilitator of many wonderful things both big and small. The Angels and the divine have already created the blueprints. All you have to do is remain open to their leadings. Discussing 1212 it can be compared to a graduated light switch. It’s time to turn the lights UP, baby! The more that light shines, the more it reveals things hidden, the shadows and negativity. Once you know where these things are you can begin house cleaning. Pour light into every crack and crevice in your life. Watch your spiritual “amperage” go up and up. One of the nifty aspects of 1212 is that it can be likened to our walking steps. Putting one foot in front of the other and just keep moving forward. Some people find they feel a little uneasy during this process. Don’t worry that is normal because your awareness is growing faster than you can truly digest it. Over time, it becomes easier and familiar. Throughout your journey with Angel Number 1212 mind your thoughts. The Universe recognizes the energy (thought forms) you radiate. If you continuously focus on bad things, this is going to be a very rough journey for you. Keep your spirits bright and positive, so you attract the same. As an aside, you may want to begin a number journal. In this case, you will be writing down when and where you encountered 1212, what you were thinking at that moment and whatever lessons you learn from the experience. These notes give you more perspective as time goes on and you begin to see how the Angels blessings revealed themselves in your life. It’s also good to remember that once you start seeing Angel numbers is nearly impossible NOT to see them. Your mind and spirit have already welcomed Angelic counsel, and they stand ready to accept that role in your life. In our relationships and matters of the heart, the Angel Love Number 1212 tells us that we are on the right track. Bigger than that, you have an opportunity here to make at least one mutual dream come true, whether it’s between yourself and a partner, a friend or even with a larger caring group. Each of you is like a piece of a puzzle that becomes geometrically clearer with each addition. Talent abounds! Number 1212 tells us that we are seeing things as they truly are. There is no need for rose-colored glasses because the beauty of love surrounds without them. In this timeframe maintaining a positive outlook and communications between yourself and others builds character and leads toward vibrant success; this is all about working for the highest obtainable future filled with purpose. Use flexibility and harmony as powerful tools toward that end, elevating your mutual vibrations together. A bit of advice from the Love Number 1212 is watching that all important balance. There are a lot of different facets to each person’s life. Giving too much time to one sometimes means another suffers. The people in your Circle deserve equal measure. Along the same lines, when you do disperse your efforts make sure they are toward only those things that uplift and improve. You can break free of negative cycles and situations at any time, and you have the help of Guides and Teachers standing by for just this goal. In reviewing 1212 in Numerology, we have to look at one, two and 12 as significators. One is about yourself and meditation that seeks answers followed by action. Two is about the partnership with your Higher Self or the Divine (and people) without holding yourself to some unobtainable ideal. Just as Spirits are compassionate, we need to be likewise so with our self (1). Twelve moves into the area of completion and wholeness. There are 12 signs of the Zodiac that translate into the Celestial dance of energies impacting our characteristics. In the Tarot, the 12th card of the Higher Arcana is the Hanged Man – or life in suspension in order to think through things and reorganize before moving into the next stage. With this in mind, 1212 becomes the symbolic value for our transition from centered wholly on self into a more balanced relationship with spiritual Beings and others, and then upward from there to higher awareness. There is a lot of accessible energy here. Use it wisely. The Biblical Meaning of 1212 focuses on the main figure 12. Heaven has 12 gates of pearl. Each bears the name of one of Israel’s 12 tribes (12, 12). The breastplate of the High Priest had 12 embedded stones; again, each represented a tribe (12; 12). The words in the Bible adding up to a sum of 1212 include desire (Genesis), grace (Acts) and Beryl (Solomon). Spiritually speaking beryl is a crystal suggested for letting go of those things we no longer need so we can heal, especially emotionally. When 1212 continues a repetitious cycle even after you engaged it with action, it may be due to some hesitation on your part. Seekers often experience a time of self-doubt and social weariness just before 1212 activating. The good news is that your Spirit Guides have come forward to lift you out of that limiting mindset. Whatever the reason for your feelings, things are just on the edge of making a right-hand turn for the better. 1212 arrives building toward confidence, hope, creativity, and peace. Now is the time to grab opportunity by the horns and run with it. Yes, there are some risks involved, but it is far better than wallowing in stagnant energy. You have a chance to bring vibrancy to your life and dreams. Your Angels wait behind the curtain as the stagehands for the story of YOU. Raise that curtain. Stay focused and calm within the realms of your script. Visualize your goals with very specific details, so the energy created goes precisely where it can be best used. Seeing 1212 serves up possibilities on a silver platter. These blessings are so wondrous that you may be tempted to figuratively eat them quickly all at once: Don’t. As mom said, that creates a tummy ache albeit a spiritual one; this is a treat suitable for savoring every last empowering morsel.